I don’t like the word “retirement.” It and “retiree” seem to be more about what we are not, or no longer plan on doing. Paul Froehling has fun teasing me about that. He’s right, there is no need to get hung up on the word. Retirement is a name for this period of life. What we do with it makes all the difference, our new use of time, space, and mission. Making choices in the transition from career to retirement is the challenge that Nancy Schlossberg is addressing. “Taking retirement” is an event. It may be planned or unanticipated. However, the transition is a process that takes time and effort in either case. Planning and investment for retirement well in advance of the event offers advantages. That’s given in the case of financial planning, but it applies as well to lifestyle and relationship planning. A fulfilling retirement is supported by both financial and social equity. For example, I found that investment, time and relationships, in the U.S. Green Building Council allowed me continued participation in the Green Building Movement which I enjoyed immensely. Like every other phase of life, though,change happens. There are on-going transitions. Helping each other in these is one of the things the WSJ Society can facilitate. None of us are experts, but we each have experiences to share. We can learn from each other as we make those meaningful choices in continually creating our personal path. With that in mind, I’ve started a discussion in the Group/Open Forum with some of my experiences. I am inviting you to share yours. I’ll bet that our experiences, successes and failures, will help someone else as they make their choices. The Open Forum is in the Members Only section, requiring login. You don’t have to be a member of the Open Forum Group to join in the discussion. Check it out. With a similar objective, I’d like to upgrade the Learn/Company Resources page. The idea is to change it to “Learn/Resources” a listing of links to resources we’ve found valuable in planning and living in retirement. It will certainly include “Company Resources.” But what about financial planning, healthy living, travel, volunteering, business creation, learning? What resources have you found of value? Please let me know your ideas. 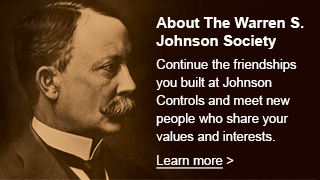 You can reach me at the email address Help@WSJSociety.com, or, just use the Help button above.